In a recent development of Atlantic City the New Jersey senate has passed a bill against billionaire Carl Icahn for shutting down the Trump Taj Mahal casino and that means Carl Icahn will be prohibited of holding a casino license for next five years. This is a very tough decision taken by New Jersey senate and its members, but the bill would apply only on Carl Icahn at this time. Trump Taj Mahal Casino is the fifth casino of Atlantic City closed after 2014, but this current bill is against Icahn and for not against four other casino. The management team of Carl Icahn in Atlantic City expressed their concern regarding the new bill passed by the senate by saying that the bill is unfair and it will make virtually impossible to reopen the closed property. However the bill is only passed in New Jersey senate and not by state Assembly and hence to make this bill a full Legislature it would have to passed by state Assembly. 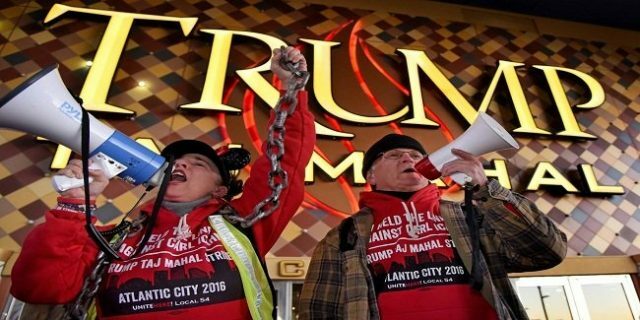 The president of Tropicana Entertainment, who ran Trump Taj Mahal for Icahn Tony Rodio, said that the bill is very unfair and it will scare any new investment to the Atlantic City Casinos. Rodio blasted out on the new bill and said that it will harm any new investment in the state and in Atlantic City. I don’t see any reason that why any investor will invest his hard owned money on Atlantic City casinos after seeing a lot happening here against casino owners because of some leaders of our state Legislature. Steve Sweeney, the Democratic Senate president is supporting the bill by saying that casino owners should not manipulate system or rules of the company. He said that the new bill passed against Icahn will prevent him to sitting on the license of a close casino.